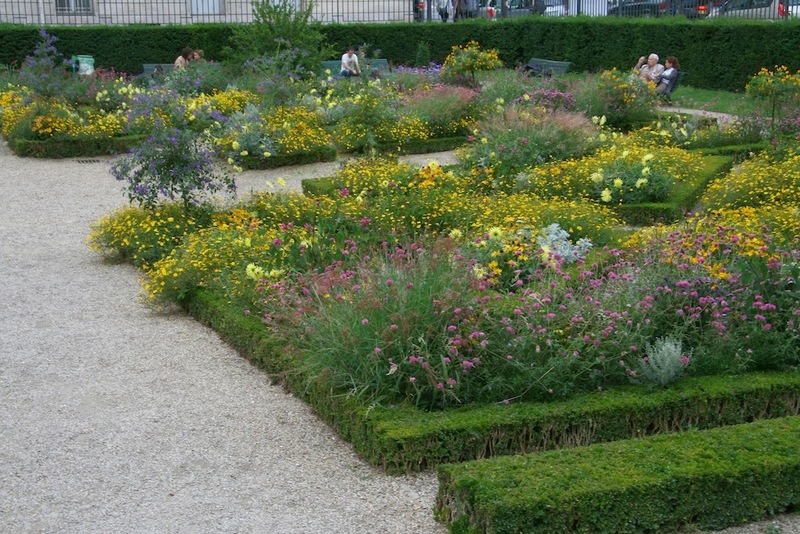 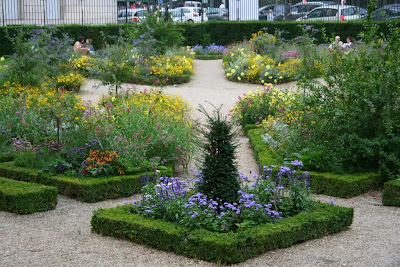 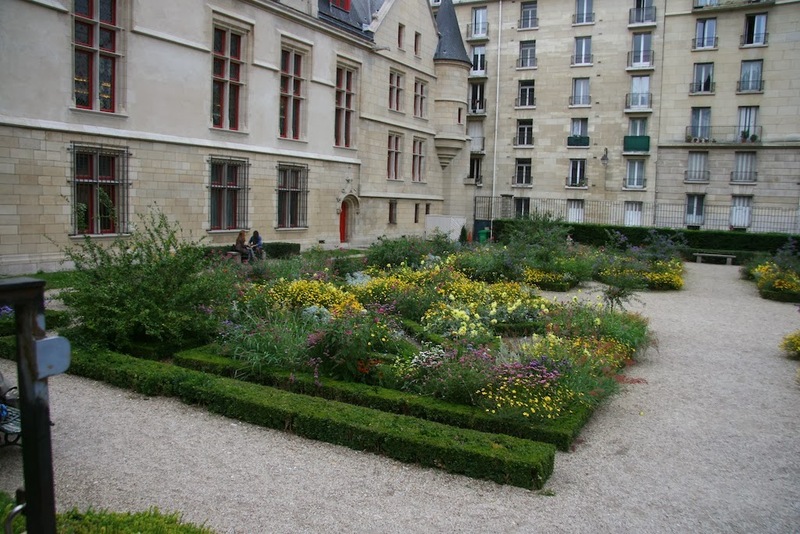 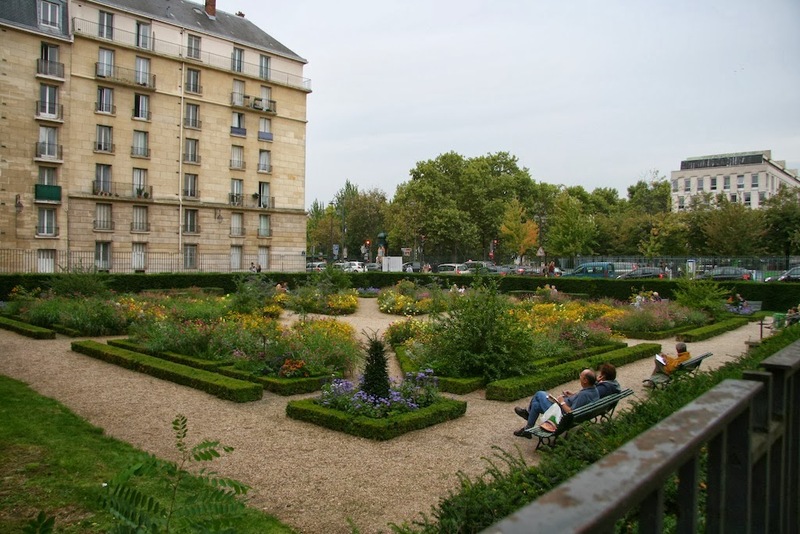 What better way to spend a cold March morning than looking at photographs of Paris gardens? 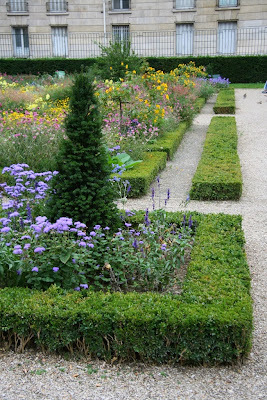 I'm giving a talk for my local garden group a week from today and then a talk for the public on Tuesday, April 22 at the Newburyport Public Library. I narrowed my vast collection down to 271 photos. There has to be lots more pruning before the talk. I thought I'd share a few with you. 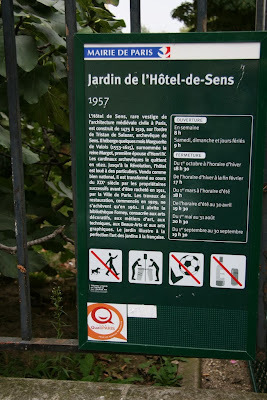 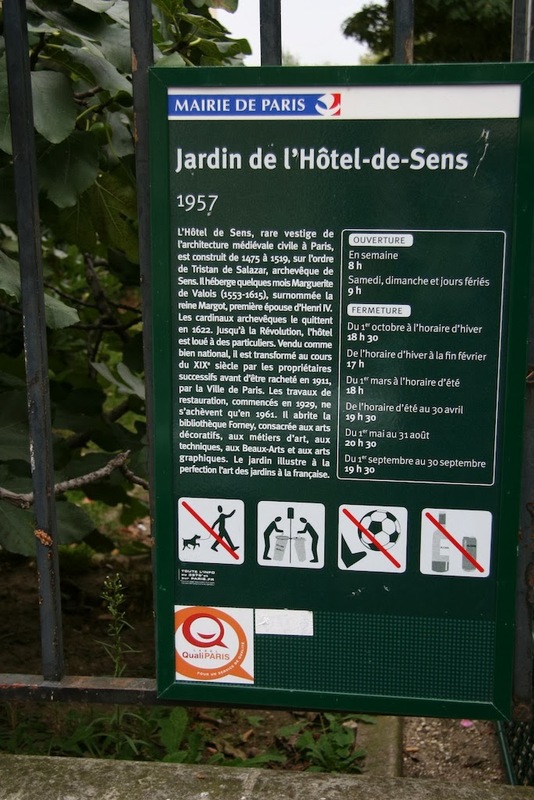 These were taken at the Jardin de l'Hotel-de-Sens. 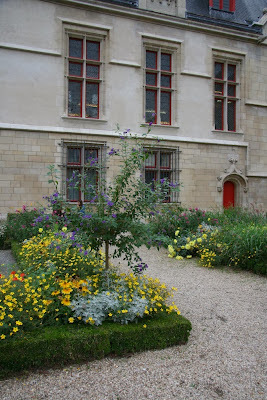 The garden is young (1957) compared to its surrounding building (1475-1519).